Many schools aspire for racial diversity. But that’s not quite the aim of the newest charter school in North Nashville. KIPP Nashville College Prep Elementary says it is embracing what is a reality . . . that students are primarily African-American, and instead of swimming against the current, it’s trying to turn cultural isolation into a positive. The differences are subtle. But they're everywhere. It's the college banners that hang in every classroom — they're all promoting historically black institutions. The murals on the walls show smiling black children, reading books while sitting on thrones. Kindergartners learn the new school song, set to a hip-hop track. "All of the power is in my hands. I now can conquer the world," they sing. It is horrible to see this kind anticipatory set up for self blaming in KIPP middle schools, but to see this kind of positive psychology brainwashing used with disadvantaged kindergarten children is truly criminal. One has to wonder if these children get to sit on their "thrones" when they are isolated and humiliated "on the porch" for breaking rules, with their "MISCREANT" signs around their necks. It would be safe to say that no public school teacher in Philadelphia has seen or heard any colleague forcing a student to face the wall and repeat the same phrase 25 or 30 times. Any principal who witnessed such an occurrence would be within his or her rights to formally reprimand that teacher. 1. After giving feedback and monitoring to the point of automaticity, have teacher(s) turn toward a wall in the room to practice the skill 10-20 more times (primarily used for multi-teacher PD sessions). 2. Frame as optimal practice because greatest number of reps can be achieved this way. 3. Emphasize the importance of every rep being executed perfectly and with exaggeration of nuances. Incredibly, that is precisely what teachers in some district schools are being forced to do. It is but one of the tactics developed by Jounce Partners as part of its intensive coaching and professional development plan, already in use at McDaniel Elementary, one of the eleven schools designated last year as "Priority Schools". The district has approved Jounce as a partner for principal and teacher training in schools that have been included in its "System of Great Schools". Through this partnership, Jounce will intensively train the school leader and coaching team to implement the high frequency coaching model described above. 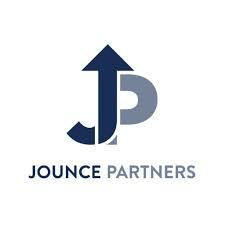 Jounce personnel will function as on- site instructional coaches, coaching teachers daily to kickstart implementation of the high-frequency coaching model. Jounce will also co-plan and co-facilitate a summer coaching institute, will participate in regular classroom visits, will co-facilitate monthly coaching step back meetings, and will work with school leaders and teachers to establish and codify weekly co-teaching and coaching practices. The partnership will provide an on-site Jounce coach for 5 half days each week, who will directly coach teachers in addition to working with the leadership team. See resolution B-23 in the SRC Resolution Summary of June 15, 2017. There was no deliberation or discussion among SRC members before the vote, no explanation of the program by Dr. Hite in his remarks, and no staff presentation on the subject. The McDaniel faculty was told just months before the resolution passed that they had to reapply for their jobs; future employment at the school was contingent on their agreement to participate in the Jounce training. A ten-day summer "training institute"" was mandatory. The district has contracted with Jounce to work at other district schools including Vare-Washington in previous years. In Spring 2017, the SRC approved a new charter application for Deep Roots Charter, to be operated by Jounce staffers. High-repetition practice: In a coaching session, a teacher may repeat the same specific skill twenty times, thirty times, or even more, allowing her to build automaticity, which leads to a) excellent execution every time, and b) freed up cognitive energy for teaching tasks. In 1997 the Clinton Administration was well on the way to realizing its goal of 3,000 charter schools by the year 2000, and the future looked bright for corporate education reformers of the charter industry. Both Republican and Democratic corporate ed reformers were jumping on the charter bandwagon. Even so, a significant stumbling block remained: teachers' unions. Albert Shanker, who served as AFT president until his death in February 1997, had once been a champion of charter schools as centers of innovation, but by the early 1990s, Shanker came to understand that charter schools were quickly morphing into tools to corporatize and privatize public education. Although Shanker had hoped that charters would provide diverse progressive experiments that could help to integrate public schools, Shanker recoiled at the segregated, exploitative charters that embodied the preferred paternalistic model of corporate philanthropists like Bill Gates and Eli Broad. Shanker's death offered an opportunity that Eli Broad would not miss to shape the future of AFT in Broad's image. Broad was quick to provide several million reasons for AFT's new president, Sandra Feldman, to restore AFT's positive vision of charter schools and to embrace the agenda of corporate ed reformers. The implantation of the corporate cancer, The Union Reform Network (TURN), was the result of Broad's efforts, which then and now was led by AFT corporate mouthpiece, Adam Urbanski. Like a disease eating away the union body that Shanker had built up during the previous two decades, TURN sought to make AFT and NEA into assets for advancing the corporate reform agenda. AFT President, Sandra Feldman did not disappoint the corporate reformers, as she embraced charter schools, as well as a steroidal levels of testing accountability that came with NCLB in 2001. She helped design NCLB, which was used to soften public resistance to the spread of more charters to replace the "failing" public schools. Feldman was also an advocate for NCLB's utterly corrupt Reading First, which spent billions of federal dollars to promote programs that proved to be total failures in terms of improving children's reading skills and interests. Feldman's successor, Charles McElroy, continued Feldman's policies during a transitional period from 2004 to 2008, and he helped to prepare the ground for the coming of Randi Weingarten, corporate reformers' choice to lead AFT for another generation of lucrative charterizing. The year before Weingarten was installed as AFT president, McElroy bizarrely testified that charters had helped AFT "accomplish the things we have been fighting for." Since 1997, TURN has metastisized in 34 AFT and NEA affiliates, and the national TURN office lists Michael Mulgrew and Adam Urbanski among its leaders. Before becoming Randi Weingarten's choice for AFT's Executive VP, Mary Ann Ricker served as president of St. Paul's AFT affiliate, which has been a hotbed of TURN activity since 2005, when Ricker became President of the local. For instance, Ricker was instrumental in establishing the Minnesota Guild of Public Charter Schools, a charter school authorizer created by the ST. Paul AFT local and funded in part by the national union, AFT. The Minnesota Guild has been responsible providing financial support for some of the lowest-rated charter schools in St. Paul. Read this piece to get the big picture on AFT complicity in Minnesota's charter industry. Weingarten's announcement follows Diane Ravitch's recent endorsement of the TURN agenda. With such high-powered endorsements of the corporate ed agenda, we may expect to see, perhaps, the eventual awakening of the parents and teachers who have been lulled into supporting the enemies of the values that public education advocates hold dear. Through predatory public-private partnerships, global financiers are in the process of digitizing not only our education system, but many other aspects of public service delivery. This 10-minute video provides an overview of “Pay For Success” and social impact bonds, detailing how their operations hinge on intrusive and oppressive collection of data from our classrooms, homes, jails, and clinics. By defining “success” in narrow terms suited to outcomes-based contracting, powerful investors will control how public services are delivered. Securitization of debt associated with program operations will turn our lives, including those of our children, into fodder for financial speculation. YouTube categorized this video as a comedy; perhaps based on the whimsical nature of the collages. After watching it, however, I’m confident you’ll see it’s truly a horror show. A slide share version of the video can be viewed here and a PDF of the script is available here. I wish to express my deep appreciation to all who offered support and input on the creation of this piece, especially Dr. Tim Scott whose groundbreaking research is foundational to understanding this topic (read more here, here and here) and Mary Porter for her valuable editorial insights. 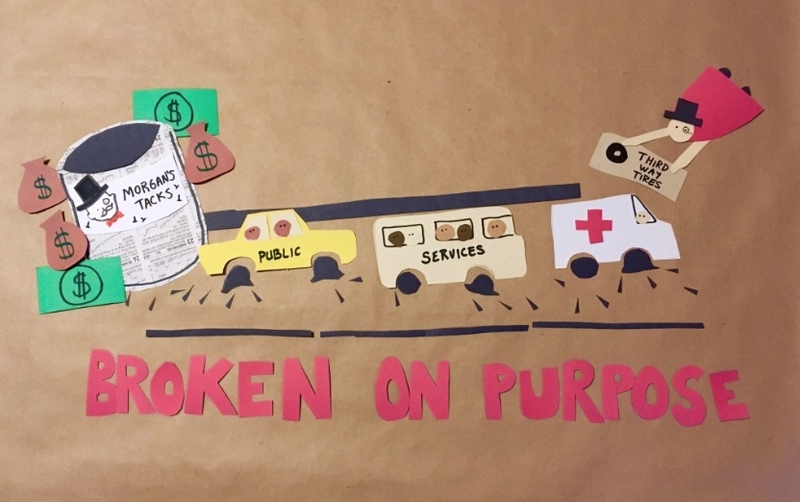 The artwork was prepared with scissors and construction paper at my kitchen table with the goal of making this critical information accessible to a wider audience. My hope is that it will pique your interest and spur you to explore the linked resources that follow. Few people know that the KIPP Foundation's home office in San Francisco collects an ongoing franchise fee of $30,000 per year from each of its 200+ schools. 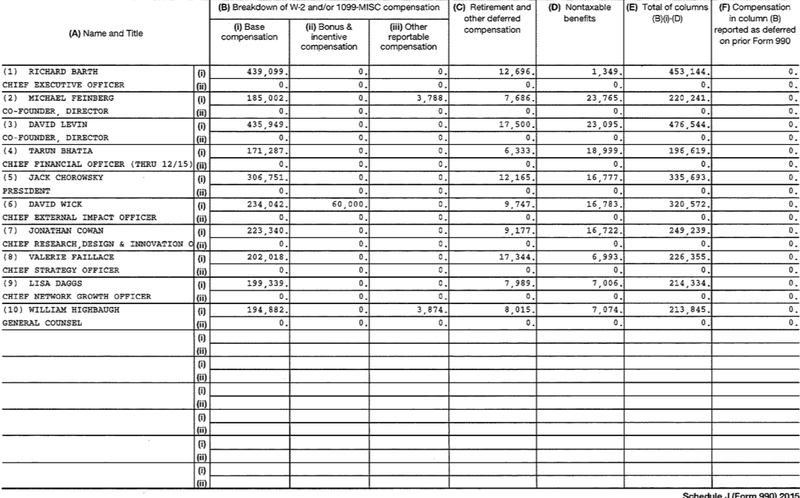 I know that $6,000,000 doesn't sound like a lot of money when we consider that KIPP schools collect over 600,000,000 public dollars each year to support KIPP's segregated and dehumanizing enterprises, but $6 million is almost enough to make payroll for the execs at the KIPP Foundation home office (and don't feel sorry for Mike Feinberg--he gets paid hundreds thousands more from KIPP Houston each year). Of course, $6 million would also pay salaries for librarians for all KIPP's 90,000 students, none of whom now have real libraries. In yet another sneak attack on Indiana public education and communities, the State Board of Education’s Graduation Pathways Panel, in a move to eliminate the abusive and redundant end-of-course assessments, “has recommended that students take the SAT, ACT or a similar college entrance exam instead” in order to finish high school, a move which would sit well with Hoosier Republican lawmaker and past Indiana State Board of Education member, Todd Huston, who is now Senior Vice President of State and District Partnerships at the College Board— the owner of SAT. Concerning the SAT recommendation, the South Bend Tribune notes: “The change was introduced to the draft proposal less than a day before the panel voted to send it to the state Board of Education. While other parts of the plan have been available for public comment for weeks, few schools, teachers or families have been able to give input about the exam requirement change.” The State Board will vote next month on new graduation requirements, and state lawmakers “would then codify the plan in the 2018 session.” The new recommendations, if approved, will start with the class of 2023. Since the U.S. Department of Education has declared that “Indiana will no longer be able to include students who earn the general diploma in calculating school graduation rates,” 30 percent of those being special needs students, the State Board, actually, is adding another assault by proposing an exam which will weaken schools’ graduation passing rates and prime them for possible takeover by charter school operators. And then there’s Todd Huston and the College Board. Huston, who has received $36,000 from the DeVos-Walton funded Hoosiers for Economic Growth PAC and $2,500 from Charter Schools USA, along with $1,000 from Michelle Rhee’s Students First PAC, was one of Al Hubbard’s “GOP Powerbrokers” who met privately years ago to hash out the Indiana school privatization plan before any laws were introduced. Not only is Huston paid handsomely by the College Board—for which he is listed as a lobbyist in New York—raking in $325,433 in the period from July 1, 2013 to June 31, 2014, with $47,000 listed as additional compensation from the organization and other related organizations, he promotes Silicon Valley’s online future-of-schools agenda by convincing schools to use “the SAT Suite of Assessments to give students a chance to show their best work and get better results with tools like Official SAT Practice on Khan Academy®,” a tool which now has the blessing of Facebook’s Mark Zuckerberg, whose Zuckerberg Initiative, in partnership with the College Board, seeks to give “students in lower-income communities and rural areas greater access to college pathway advisors and SAT prep mediums like Official SAT Practice on Khan Academy. Huston and the College Board both accept edtech’s dream of a future education system where there are no school buildings, Huston telling the media a few years ago that “educators must remake the high school day to catch up with evolving technologies and methods.” In 2016, unsurprisingly, K12 Management, the online corporation from Herndon, Virginia, handed Huston’s campaign $500. Huston is also the past Indiana Charter School Board member who, after leaving his job as Tony Bennett’s chief of staff, went back to his old job with Cisco Systems. Bennett, in turn, then used $1.7 million of state money to purchase video-conferencing equipment from Cisco which wasn't used. Some of the equipment was never even delivered. 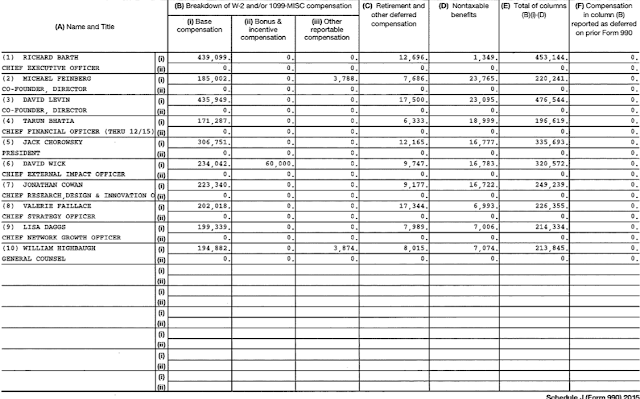 David Coleman, the leader of the College Board and the master behind the Bill Gates-funded Common Core, gave Huston $10,000 for his 2012 Indiana House campaign and Tony Bennett received $2,500 from Coleman the same year. Coleman, in 2015, made $742,278 for his role as the College Board CEO and a little over $155, 000 in other compensation from the organization and related organizations. Huston went to work for the College Board in October 2012 , and Lewis Ferebee, the Indianapolis Public Schools supt., has been a member of the College Board’s board of trustees since November 2015. In 2017, the College Board’s board of trustees was highly criticized by nonprofit governance experts for not doing anything to rein in “the College Board, which had about $77 million in annual profit and $916 million in revenue in 2015” and a whole slew of problems in 2016. As Reuters notes in 2016, there were “cheating rings in Asia that exploit security weaknesses in the SAT and enable some students to gain unfair advantages on the exam.” In 2016, a “massive security breach” exposed around 400 questions “for upcoming SATs,” and College Board members knew that a redesigned test “was overloaded with wordy math questions, a problem that handicaps non-native English speakers and reinforces race and income disparities that Coleman has vowed to diminish.” Lloyd Thacker, from the Education Conservancy, asked “What is the mechanism that holds them accountable? I’m scratching my head. There doesn’t seem to be a countervailing voice here at all.” Reuters found that many trustees were sent an email in 2015 telling them not to do interviews with the news outlet concerning the SAT. The College Board has a history of questionable practices. In 2008, it settled with New York attorney general Andrew Cuomo’s office after an investigation found that the College Board was running a kickback scheme where “the College Board, which developed and marketed numerous products and services related to student financial assistance, gave significant discounts on those products and services to certain colleges which agreed to place the College Board's loans on their 'preferred lender' list. This effectively directed students towards loans that might not be the best or least expensive option for them." The College Board “is no longer a lender,” for other unrelated reasons, “although it continues to provide financial aid advisement services to students,” ABC News wrote at the time. The College Board, too, came under fire for not giving better oversight when a cheating scandal in New York in 2011 led lawmakers to ask questions, and in June 2015, a printing error which gave some SAT takers extra time to finish sections of the test involved 487,000 students. The College Board (and the makers of ACT) sell your children’s data freely. As the Parent Coalition for Student Privacy’s Rachael Stickland and Leonie Haimson write, students, while taking the SAT, may be asked to hand over personal information (which may include social security number, “grade point average, religious affiliation, ethnicity, family income, interests, citizenship, disabilities and more”) on an opt-in questionnaire and click a box which says they agree to be a part of the College Board’s Student Search Service. The College Board and ACT then sell some of the information to colleges and universities, which can use the data against students applying for admission. According to recent information on the College Board website, the social security numbers, disability information, grades, scores, and parental income are off limits, but POLITICO in 2014 wrote that these marketed "profiles can include information about the students’ grades and academic coursework — and also religion, ethnicity, citizenship status and expected need for financial aid in college. The ACT also lets customers filter student profiles by family income, parents’ education levels and student disabilities." POLITICO also stated that a woman from Illinois sued both the College Board and ACT for selling her personal information, but the case was dropped when it was discovered that the woman "had never even taken a College Board exam". Although the College Board would not disclose how much it makes from such information, Stickland and Haimson, using POLITICO figures, estimate that “ACT’s profits generated from selling student profiles were approximately $15 million in 2012.” The College Board, according to information on its website, now sells student personal information at 43 cents per name.